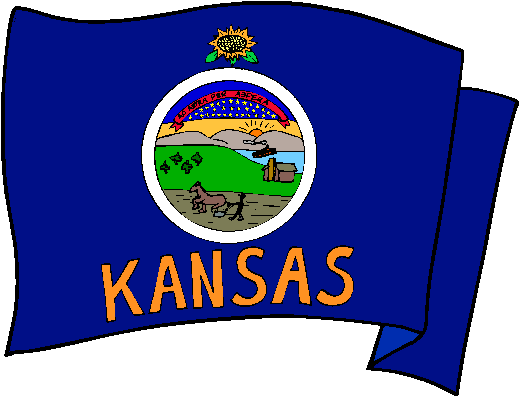 The flag of Kansas contains the state seal on a dark blue field. Above the seal is a sunflower (the state flower) on a bar of twisted gold and blue (representing the Louisiana Purchase), and below the seal is the word "KANSAS" in gold block lettering. The first version of the flag originally designed in 1925 and officially adopted in 1927. The original version of the flag did not contain the word "KANSAS" and this was added in 1961.